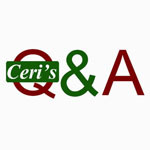 Q&A: Organising hard and paperbacks in the home. Question: Home Design: What is the best way to organize books if I don’t have a bookshelf? I don’t have money to invest in a bookshelf, but would like to better organize my books! I have perhaps 3 bookshelf worth of books, and would like to be able to browse them. You could always box them up out of sight and use software called Calibre to catalogue your books. You could then browse them like a library catalogue but on your home computer. Calibre is very versatile and you can not only catalogue your ebooks but also your paperbacks, hardbacks, CDs, DVDs etc. Pretty much you can catalogue anything using the software. I did something similar to this when I ran the English Audit Commission library. All our books were boxed up in temperature controlled underground caves near Bath. If anyone requested a book, I would look up the book’s location in the library catalogue. If it was in the boxes, stacked up in Bath, I would request that it be sent direct to the client. I had a very tidy library! Calibre is very like a library catalogue. I love the ability to flick through the covers of my books or browse through genres, authors etc. You can even use the isbns on the back of the books to get Calibre to automatically catalogue the books for you. All you need is a barcode reader, which an Android phone and probably an iPhone could do for you. You wouldn’t even need to buy a dedicated barcode reader. While cataloguing, just type in the notes (or tags ) fields the box number and/or location where you put your paperbacks and you will easily find the book again in the future, just by browsing or searching your collection. I have a chapter in A Simpler Guide to Calibre which goes into detail on how this can be done. Q&A Why would anyone want to work as a librarian? Question: Why would anyone want to work as a librarian? I worked as a librarian for many years, culminating in a library manager job in a nationwide public sector organization with satellite offices. I have worked in a patent agents in their information department, a parliamentary library, a school library and the then the Audit Commission mentioned above. I have loved working in each one for different reasons but the most common reason was the variety of skills I picked up and had to have to survive in the job. And lots of opportunity to read sci-fi with no late fees (school)! Q&A Have a small library but cannot afford a library management system (LMS) like Oliver, Unicorn or IS OXFORD? How about trying Calibre the free ebook library software? I worked in libraries for over 11 years before giving up work to look after my son and write books. I understand that sometimes small libraries whether they are school libraries or corporate information departments don’t have the money to buy a full-blown library catalogue. When you work in these organisations you may not need all the features of a full-blown library management system. If that is the case for you, give Calibre a look. Calibre is free software downloadable from the internet. You can install it like any desktop application on your computer and use tags to catalogue your book’s physical locations. In my book, A Simpler Guide to Calibre, I also explain how you can use tags to mark a book as out on loan or have virtual libraries so you can see at a glance which books are on loan and their due date. If you only need a library catalogue for basic cataloguing but no budget or accessible IT department then Calibre could be your answer. Have one computer in your library set up and use it to search and loan your books. You can not only use the catalogue to find your ebooks (which it is designed for) but you can add physical media such as music CDs or movie DVDs. The software can be used in a variety of ways with a little imagination. It’s a great way to have a classic ebook collection. Fill up the catalogue with Jane Austen’s, Edgar Allan Poe’s or Robert Louis Stevenson’s books from the Gutenberg project and have a classic collection that will entertain for hours at no extra cost. You can add kindle addresses and get them sent to your customers’ Kindles. If you don’t have a budget but you need an easy way to organize your books why not give it a try? The software is free after all! Please stay tuned for other ways to get the most out of Calibre. 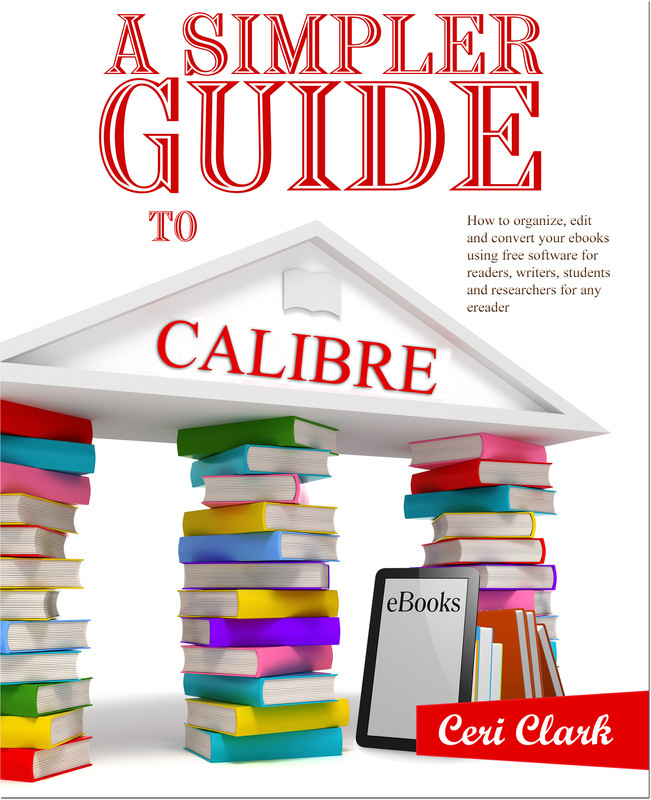 A Simpler Guide to Calibre: How to organize, edit and convert your eBooks using free software for readers, writers, students and researchers for any eReader. Before you take on a job as a librarian, first find out if it is what you really want to do. The majority of jobs require a degree in librarianship and some demand a post-graduate degree in the subject. Sometimes the pay is really good, but at other times not so good. I would say you have to look at each job on its merits. For an example of wages, my job as a school librarian (in 2008) before it was pro-rata’d was around £26,000, I know the public sector school librarian’s pay was around £17,000 – and they are the highly paid ones! As a Library Manager at the Audit Commission I make just shy of £27,000 pro rata’d, if I worked in a university the same job would net me around £35,000 in my ‘catchment area’. Also look at the job spec.. In the school, there were parts I hated but there were others I really loved as well. Notably I loved the actual librarian side stuff but schools expect more. For example I looked after 40-60 school children on my own for two hours each evening. Not really clever considering I am partially sighted but that is what the school wanted – a part time librarian who doesn’t mind baby sitting. School Librarians do not have the same authority as a school teacher for example and the children for the most part know it. It is a constant battle of wits with certain segments of the school population with the minimum of help from the Academic staff. But, and that is an extremely big but, working with children is worth it. 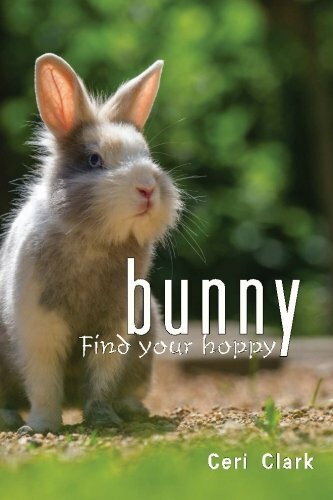 They brighten your day and make you enjoy life without trying. The interaction with the good kids – they can be really funny! Having control of your department, from spending to how the library looks. The HOLIDAYS (only working in a school). The job is firmly weighted in the advantages side of the debate. Only you can say if it would appeal to you but I love being a Librarian and I can’t think of a better job – except a writer :-). I have to admit I’m not proud of myself. The problem with being short-sighted is that you don’t get all the information that everyone else does and you can interpret what you see to things that aren’t actually there! A few days ago, one of the 12 year-old girls came in to the library just after lunch. I was alone and slightly distracted as I was beginning to write the end of term report. She comes in sobbing her little heart out. Suitably justified by my reaction she starts telling me how the kids are mean to her and that she has been to the Deputy Head but nothing can be done. It’s at this point I realise she’s not been in a fight but just has pink make-up on her face. Oh well, it just looks like I am a very understanding Librarian. My bad eye-sight secret is still safe…. In case you are wondering, the girl went back to lessons, she just wanted to have a rant in to a sumpathetic ear. It all blew over in a couple of days. Apparently from various forums I have been reading, getting feedback from children from a book you are writing is pointless but still, I work in a school and I know quite a few good readers who like fantasy books, the genre I wrote my story in. …so I took the opportunity. I gave the story to a couple of 11-12 year olds (year 7), the funny thing is, I never tend to see these two girls – only during Prep. I thought If I gave it to these ones then they wouldn’t see me all the time and feel pressurised into telling me what they think. With this in mind I stayed away from the girls purposely. Except that one of the girls nagged me incessantly if she could finish it during prep on my computer. When she said she stayed up to four hours to read the book the night before, I felt so flattered I let her. Not so good for me though as that was MY computer and I couldn’t do any work. On the other hand I justified to myself, I never get any work done during Prep anyway – most of the time is spent patrolling and yelling at people to be quiet. So that was before half-term. I got some lovely feedback from her. I tried to ask her if the ending was too sudden or did she want more description but no she loved it all – You got to love her. I didn’t see the other one until the end of last week – although I gave her the book at the same time. the great thing was I didn’t go up to her – she came bounding up to me saying she liked it. Walking to the bus stop from my school is not a long one. I can usually do it in about 6 minutes if I walk a bit faster. I rushed to the bus stop today and just missed the bus going the other way. Not a big deal as it turns around further down the road and picks me up to take me town after a few minutes. Anyway, there I was standing squinting with all my might down the road for some head start to when it is coming. I’ve had bus drivers just drive past me in the past becaue I haven’t put my arm out quick enough. The problem is I can’t see the bus until it gets quite close, so its a bit stressful and requires a bit of concentration. So you’ll understand why I didn’t spot it immediately. To someone of, shall we say, limited vision such as myself it just looked like a pile of clothes. I did stare at it for a couple of seconds to see if it moved – it didn’t so I figured it was a pile of clothes after all. There is no WAY I’m getting closer to have a look. I’m partially sighted, slightly overweight with asthma. If that isn’t a pile of clothes and something dodgy then there is no chance I will be able to get away. Squinting hard into the distance, well a few yards to you guys, a large taxi draws up beside me. “I don’t know, it hasn’t moved.” I say. “I’, righ, leave me alone” comes the muffled reply. The driver pulls him a little. The driver gives up and walks over to me. “Shall I call an ambulance” I ask, remembering I have my mobile on my which I actually remembered to charge last night. The bus came, I got on and that was that. My little adventure for today. Recognition at last – pay rise! One of the major problems working in a school library is you don’t get the recognition for what you’ve achieved which can get a bit demoralising. My way round this is to write reports to the senior management telling them how great I am with examples. It seems this has paid off along with some persistance from my colleague. My assistant is paid appallingly and she really needed a pay rise. She’s a great worker, really intelligent, goes over and above the call of duty and can keep the kids in line. What more could a school ask for! Anyway she put a package together putting her strengths in, the recommended wages for an assistant librarian and a spectacular performance review from me. Turns out they are going to pay us BOTH more in September. Yeeha for the Librarians. Another note, how do other librarians out there advertise their book fairs? I have spent the morning stuffing 100s of envelopes with an invitation, competition entry, World Book Day voucher and other blurb. My assistant created a poster for the competition – to be honest she created the competition too (I did one last year) and we’ve put up book fair posters as well. On the plus side I am going to be really muscular in my arms from filling envelopes by the time this thing is finished! Boys voluntarily tidying? – My personal favourite experience as a School Librarian! I was doing a late shift and there were three of four kids left in the library when another three walked in, two boys and a girl. They sat at the desk opposite from where I sit. They weren’t being too noisy but there were some strange sounds coming from there so I looked over my monitor like a timid giraffe peaking over a fence. One of the boys spotted me looking at him and changed tack from whatever he was doing. “A small bit of his dignity back” he replies with a snigger. Now what should I have said to that? That’s it, i’ve decided to go for another job. In fact I’ve got an interview next week which got me thinking about other interviews I’ve done in the past. One of the funniest I thought I would share with you. its a bit long though, so make sure you have time to read it! Getting off the train late I followed the crowds over the small internal bridge towards the exit. As I passed a bin, I paused to put my rubbish in. When I look up everyone is gone. This is the largest platform I have ever seen. In fact it stretches for as far as I can see and no-one in sight – Panic begins to set in when I realise I don’t where the exit is! Hmm, I calm myself down and start walking down the platform, first I try the door to the Ticket Office – locked. I continue down the platform, but there doesn’t seem to be another exit. I start to walk back thinking that perhaps I didn’t try all the doors to the Ticket Office after all. A man comes up to talk to me. He is tall, slim with a strong Welsh accent. He asks me if I was looking for the exit. I reply in the yes feeling quite stressed at this point. He leans close and points the way out to the far end of the platform. He seems to lean slightly too close for comfort … and then I realise – he’s looking down my top! He does however tell me the right way to get out. I thank him hurriedly and continue on my way. My first impressions of Rhyl I have to admit are not good. It seems a small town, slightly dingy but I can live with that _ or so I hoped. Using a map I downloaded from the internet, I try to fathom the way to the Guest House which I had booked the week earlier. The nearer I get to the guest house the dirtier the streets appear. Oh, MY GOD, what have I got myself into! Crisp packets, chip wrappers and cans line the street. Shops are boarded up, yet I bravely soldier on. Finally I reach the guest house. I had booked this for the bargain price of £18 for the night. Disconcertingly, it says ‘look before you book’ on the sign by the door. Are things that bad here then? I knocked apprehensively on the door and the door all but instantly opens. A nice middle aged lady stands before me (I find out she is nice later), at the moment she is brusque. ‘Please sign in’ she says, so I shrug and do. Looking around the guest house, I thought, Okay. Not the four star Bude Haven Hotel I had been in a few weeks before but I can live with this (well for the requisite night anyway). She indicates for me to follow her and with trepidation I follow her up the stark narrow staircase. She takes me to a shoe box known as the single room I booked. It is furnished simply but thankfully it IS clean. I take the opportunity to ask her what it is like to live in Rhyl. I mentioned that I had felt disappointed when walking to the B&B. Her reply was not quite what I was expecting. She said that while the B&B was in the nice part of the road, (the road led to the sea front), it was quite a bad area at the end. I wasn’t going to go out by myself that night was I? she asked. Thinking well I wasn’t going to now, I asked why. She replied that it was nice where she was and her daughter managed the B&B next door but nearer the sea front, all the flats had been bought by absent landlords and that it was known to have drug problems. Suitably warned I replied I had no plans to go out that night. I think she then realised that at this point I was quite freaked out. She offered me a lift to the college in the morning. I quickly took her up on the offer before she changed her mind. I was really getting quite hungry at this point, I had last eaten lunch that afternoon in London and it was now getting dark. For food she gave me directions to the local chippie at the right end of the road, so I set off. Ten minutes later I arrived at the chippie where there was a queue of four. Normally this a good sign, (it shows that people like it), but as I had not seen an open chippie on the way to the guest house, this was probably the only one available. A few minutes later one of the customers asked for a kebab. The boy said he was very sorry but he didn’t have any in, did he want anything else? They got pie and chips. The next people asked for chicken and chips. Unfortunately, they didn’t have any chicken either. The customer left with pie and chips. The next asked for sausage and chips, again “Sorry, how about pie and chips?” I was next. What a palaver!! Leaving fifteen minutes later with my prize, I escape to the privacy of my room at the guest house. In case you are wondering. It was the worst fish and chips I had ever eaten. It was rank and the chips tasted like they were cooked in fat several days old. Feeling disheartened, I have a moan to my friends back in London about Rhyl and then go to sleep setting my watch and phone as alarm clocks – after all I had an interview in the morning! I woke at seven, pick up my clothes and go in search of the shower. I should point out that I was the only one staying at the hotel the night previously, well me and the workmen anyway. I press a button and wait for the expected torrent. Nothing. Ok, I press another button. Nothing happened. With mounting anxiety I pressed the last button, again nothing. I looked around the cubicle, turned the heart knob, then the valve, also nothing. I have approximately 45 minutes to get ready before this poxy interview and I can’t even get the bleeding shower to work. I put on the dress I wore the night before and head downstairs to where I knew the Manageress lived. Several knocks on the door with no response send me climbing up the stairs swearing under my breath. I should mention again here that I am partially sighted. My eye-sight has a lot to be desired. In a tantrum born off desperation I stalk into the shower room again, stomp right to the end of the room where a string knocks me on the head. I grab it and the shower starts – EUREKA!! Having made myself barely presentable with a shirt, skirt, make-up and freshly dried hair, I hear the bell for breakfast. Great, I’m starving, I head back downstairs in my bare feet. Mmm, lovely – there’s nothing like tinned sausages, mushrooms and runny egg to get you going first thing in the morning. Well at least the toast was nice. Luckily the Manageress had offered me a lift with her husband, so after getting ready I packed my bag and got into a car with a complete stranger. Considering the family had only lived there for several years I was quite surprised that we got lost. Although there were hardly any people out that early in the morning, we asked two people for directions. However, neither knew where the local college was. Each had a Liverpudlian accent. Arriving at the interview in a relatively calm state of mind, (I was fifteen minutes early), I was told to sit down in the corner and wait for the interviewer. There was one other person apart from myself already there We quickly got to know each other. Her name was S— and she originally came from Ireland. She lived with her soon-to-be-husband who was Welsh and a policeman. Shortly, the rest of the motley crew (interviewees) joined us. There was a lady who lived in America but wanted to return to Wales, S— obviously and two internal candidates. One Z—, was a slightly larger lady who seemed really nervous, standing beside her was D—, smartly dressed in a suit. Once we had all got acquainted the interviewers came to greet and give us the grand tour of the building. This didn’t take long. After visiting the library which was a lot smaller than I had imagined, we were all shown into a classroom which was a make-shift camp for the day. Tea and coffee was provided but to our horror – no biscuits! The format of the interview was for there to be individual presentations given by us to the panel of three and then we were to be short-listed again for a more in-depth interview. I had spent 2 hours on my presentation – with beautiful diagrams on the hand-outs. I had also made cards the night before. I felt the presentation went well and indeed I was short-listed for the actual interview. One step closer! With me, S— and D— also offered the interview, the other two left. We hung around the classroom chatting, surfing the internet and generally killing time. After a short wait, my name (closest to A) was called first. …the fun began. Thirty-forty minutes later, I left the room to join who I fast was starting to think were friends. For lunch D— who was the internal candidate showed me where the canteen was. I had a runny egg sandwich, an apple and a diet coke – mmm, delicious, NOT! At the designated time, we trooped back into the classroom and then the main interviewer entered the room. ‘D—, please could you follow me?’ she asked, then ‘You two stay there!’ Charming – we know who got the job then. I could be called cynical (and it wouldn’t be the first time) but I wonder if it was completely a coincidence that D—‘s line manager was on the panel. So this was my second interview for my plan to return to Wales. Ironically – I am now trying to go back to England. A traitor to my home country? maybe, but I go where the work and the prospects are. Well, Friday was quite fun. I had to do the late shift as my assistant needed to do something that night. To be honest I don’t mind its usually quiet on a Friday (relatively speaking that is!) Well, this Friday was no different. I got in the requuisite half an hour early (I hate public transport), actually 33 minutes early this time. Then again I suppose its better than being late. First I went to check to see if the food had arrived in the kitchen, it hadn’t so I toddled up to the library and thought I’d spend a quiet few minutes in the cupboard reading a book until my shift starts. I only get paid for working part-time hours and I tend to do more hours than that anyway so I get rebellious now and again and want to do the hours they pay me for. Foiled again, it’s locked. So I trundle along to the desk and my assistant waves her keys at me asking if I want to borrow them. At this point my rebelliousness wears off and I decide it won’t kill me to give the school yet another 20 minutes of my time for free. So the day goes pretty quickly, I’m still sorting out the careers section of the library. It’s been neglected for several years. It’s great if you want to find out what courses to study in Science in 1999 or what university was like in 1987 but some of the newer books are fewer and far between. Don’t get me wrong there was the Student book 2006 and The big guide 2007 and 2008. The previous Librarian had bought some new books, but just never weeded the old stock. So this is the task I set myself for this month, try to sort out the mess known as the careers library. [I always said I liked a challenge.] I managed to catalogue about 6 books by 4pm when the first influx of kids trickle in. I’m really proud of myself at this point! First I had to stop and settle them down as soon as they came in. The boys go to one side of the room and the girls the other. Mainly because I had to split up the boys as soon as they came in but we won’t go into that. I was doing the usual, “Please girls shush, you need to work quietly now.” When one of the girls spots its me. Each of us ‘Librarians’ has our favourites among the pupils and this girl is one of mine although we don’t like to show it. She’s cheeky but in a nice way. There’s no malice and she is usually really funny if a little random. Today, she spots me and goes “oh Librarian, it’s you, High Five.” and she lifts her hand up. I shrug and lift my hand and she smacks mine in a high five movement. ..and before I can go back to the desk she gives me a great big bear hug. I freeze. This was really embarrassing for me. I usually have a personal space boundary of about a foot. I’m shy and I like to keep my distance. This time I didn’t have time to react so I just stood there with my arms to my side until she let go. I gave a quick nervous grin and scarpered back to the relative safety of my desk and shouted again at the boys who were chatting nearby. At this point I’ll revise my former statement in another post. I don’t shout usually in the day time, but after school baby-sitting sessions are quite another matter. A more cynical person could say this was a ploy. Now could it be that she gave me a hug so I would be nonplussed and wouldn’t tell her off for talking or is she just a sweet girl with a lovable nature? You decide! Don’t mess with a Librarian! Today has been yet another busy day but there was something worth writing about this time! I arranged for the careers service to come visit me at 11.30 to help me get to grips with the new system. For those who don’t know, it has changed from the CLCL to CLCI although it might have gone the other way – the initials are so similar! Anyway, Since I have only been a school librarian for just over a year and the careers section has its own way of organising itself, I didn’t know how to organise the old system or the new system. Hence the request for assistance. hey at least I’m honest – If I don’t know the answer I can admit it and know where to go! So I booked them at 11.30 knowing break ends at 11.20 thereby giving myself 10 minutes of grace. Yep you guessed it they came early. At about 11.15! So there I was checking out books, answering questions, keeping an eye on the kids and generally trying to hold it together without exploding at the misbehaving lot in the corner, I know we are good at multi -tasking but school librarians should really get medals for this! I go over and solicitously ask them if they would like to take a seat as I was in the middle of break. I mean duh, it was a bit obvious. They agreed and sat down while I went back to my desk to check the time. I’ve got to be honest I closed the library for break a tad earlier than I normally would, but then the kids left pretty much on time give or take (take) five minutes. The usual way of clearing the library means the 50 decibels shout, “OK everyone time to go back to class. Pack up your stuff. Log off the computers…..” And then the walking around the library just to get the message across that the noise they heard was indeed me telling them go back to class and not for the benefit of my health. So I got to the other side of the library and saw a group of three. I noticed one boy had a bag. I don’t allow bags during break because of the trip risk. So I ask him if he was going to be in the library for the lesson. He says no, just waiting for his friend. So I say, OK, wait for him outside. He says OK but just stays there staring at his friend. I say, now please. Stil in a nice conversational way you understand. He puts his bag on his shoulder and says he was going anyway, so I turn away thinking job done. He looks at me as if reevaluating me and scarpers for it. Now that was a job well done. future trouble maker put in his place. “Wow, I wouldn’t mess with YOU”. I wonder if I can get them to tell the kids that? I’ve had a monster day today so I thought I would write it all down to see if I actually achieved anything! Go straight up to the library. I haven’t got time for the staff meeting today. Put all the extra missing things the cleaner found in the lost property box and the books back on the shelves (Will kids ever learn to put things away?). The computer finally has the log on screen. Log in. Wait another five minutes for the screen to come to life. Open Thunderbird. Swear under breathe as computer takes another five minutes to open it. Get a couple of books to catalogue and open Firefox because our catalogue freezes in Internet Explorer. Let the little darlings into the library. Sort out riddle of the day. Ring up accounts to order new chairs for the library. Get told that I need to provide an estimate of the library’s value by the end of the morning. Save the cataloguing done so far and put to one side. Do some photocopying for the children/teachers. Open up evaluation already started by pure luck. Aargh its break-time. Shout at children not to run in the library as they try to grab a computer. Listen to inane but faintly amusing conversation about girl’s pet horse. Smile politely and try to sneakily to do a bit more on the valuation while they are not looking. 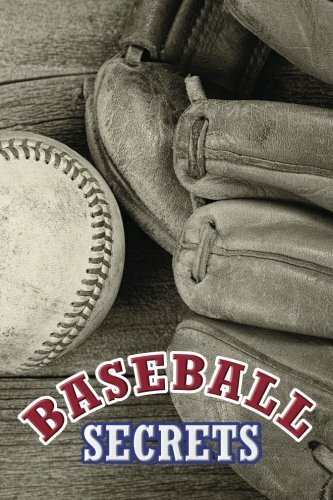 Check out/check in about 10 books. Peace at last. Finish evaluation – pat myself on back. Rush to loo – am desperate by this time. Send valuation to accounts with instructions to order chairs and get quote for other thing. There are three things in that email. Ring up to check they’ve got it. Yep, but forgot about the stuff that belongs to other departments which they’ve dumped in the library storage room. He deletes e-mails and tells me to send it again – except there was other stuff on there! Finish valuation and send it off making sure the other stuff is on separate e-mails. I’m not checking to see if he’s got it – too much to do. More people come in and ask me to do photocopying. Enquiry to find out if we have a book. It is very urgent. They need it for coursework. Not in library. OK will order. Processed books for teacher who wanted books urgently. Stamped and covered them. Put an order together for some more books – tunnels, the looking glass wars etc and sent it off. Processed purchase order etc. Process some invoices of books that arrived yesterday. Drop off post in teachers pigeon holes at lunch while looking at Softlink catalogue and eating hurriedly and sneaking a peak at the Times. Check event is on later. Ring up another school to confirm attendance at Carnegie Shadowing event in April. Reply to enquiry regarding Barrington Stoke books. Get really annoyed because the teacher doesn’t want to do any work and tries to get me to do everything! Her excuse is she works part-time. well join the club! So do I but I don’t fob off my work to others. I already made a leaflet for her telling her what books we had relevant for her subject. What does she want from me? Blood? Talk to teacher about world book day and get distracted by another teacher demanding attention. I show six former new book I bought which is relevant to her subject area. She takes it away to look at it and then borrows it. Oops, maybe I should have shown it to the teachers first. Never mind I do tend to get too excited about new books. Quick chat to catch up on what happened during the day with assistant and the last shift. Toddle off to catch the bus. Gosh I am KNACKERED. So it’s Monday afternon. we’ve got a new set of children hanging around the desk wanting to chat (it varies on the monitor behind the desk) and I’m helping the new pupil librarian learn how to use the library software for checkins and checkouts. The giggle girls saunter over. ‘Libwarian, you’re the best librarian in the world.’ That’s not a typo by the way. And my response? ‘What do you want?’ in a world weary tone. Ahh, well it was nice for a moment there. Apparently they had been following my assistant around the library as she was shelving for the past ten minutes telling her how lovely she was. Still as games go, this is the nicest I’ve seen! At lunchtime today, I had a mass of juniors flood in. This doesn’t panic me as much as the seniors do. They are smaller, cuter and much better behaved than the seniors. A group of year 6 (ten/eleven year old) boys walked through the double doors at the library entrance, pausing at the desk and headed straight for the non-fiction bookshelves in an arrow formation. I swear I watched in open-mouthed amazement and glee. My and my assistant’s heads followed (in unison) their progress with sheer disbelief. The sound of the dambusters music here would not have gone amiss. They were looking for the answer to the daily riddle in the bookshelves. My work here is done. The pinnacle of librarianship has now been achieved. What can be more difficult than getting a child to use the Dewey Decimal system without being asked! – independant learning at its best. If I was only thirty years older I could retire in happiness. The problem with budgets is that they go up as well as down. This year our book budget went down considerably so I have to find ways of making it go that little bit further. These are brilliant. All our classics are looking a bit dated and as my previous blogs show the kids at my school are really picky. I hadn’t seen one ‘classic’ taken out by the younger years since I’ve been there. The sixth formers do but they have to for their A levels. I had just emptied the box set into our cataloguing box yesterday (I loved the box it came in and thought I could use it for something else) when the little darlings spotted the box and asked me to get one of the books pictured on it. Well of course I went, ‘we’ve got them – that’s why the box is there.’ I am my own worst enemy sometimes. I should have said I would see thereby giveing me time to catalogue them. Anyway they saw me glance at the box we were keeping them in and before you can say, lots of classics to read, they were rummaging in there and reading the blurbs at the back. The up shot of this little escapade was my long suffering assistant had to catalogue them all this morning in a rush. By the time I got in some of the classics were already taken out! The girl I was taking about took out Flambards. Aargh, my planned display ruined! I’m not sure who won that one. I think I’ll call it a draw. OK, I know I’ve done a couple of posts already today but instead of talking my fiance’s ears off, I’ve decided to rant on the web instead. This time it’s about trade unions. I work in a school library as the librarian. I am at risk from children saying something inappropriate because they think it’s funny. There are all sorts of kids in our school as well as extremely bright ones – but then there are different levels of daftness. My assistant puts her hand out (it was nowhere near the child I was standing right next to her so could see this) and asked her to stop. She was at least a few inches away from the child’s hand. Next thing I know the kid is crying “she hit me”. Becase I saw what happened I just ignored her overacting (she should really take up drama) and then she left a few minutes later laughing with her friends. If she had been a nasty kid she could have caused a whole load of trouble for us. Luckily for us the kids at my school aren’t bad. …but it only takes one bad kid…. Which leads me to my grumble of the day. The various teachers unions won’t take us on because we are not teachers. Even though it is part of a librarians job to teach kids about library and information skills and give inductions and we are at the same risk of unfounded litigation. Given this we are left in the cold with nowhere to go – least of all CILIP. At least trade unions if we could get in to one would use the fees (which are less than CILIPs by the way) to help pay legal costs if such an eventuality happened. Even though I am starting to love this job – I am also starting to think the risks are outweighing the ups. Present day note: This was one of the reasons I left the school. I was looking at after too many children on my own which I felt was risky for them and me. I’m not risk averse but 60 children with just me looking after them, felt just a little scary!